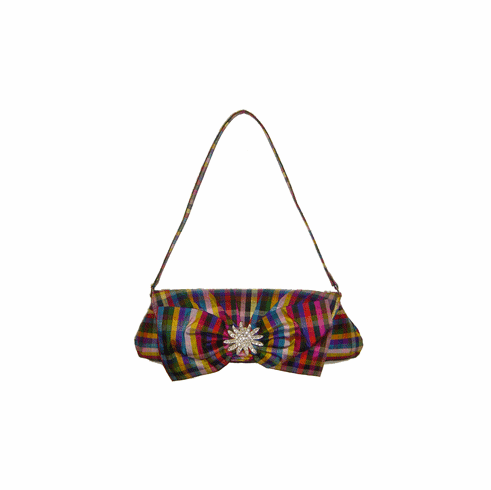 Fun and vibrant raw silk plaid handbag with attached rhinestone brooch. Strap also has rhinestone details. Top flap has magnetic snap closure. Shoulder drop: 8 1/2" length. Dimensions: 12" wide x 1" deep x 4" high.